HLS is large for a law school â" each class in the three-year J.D. program has approximately 560 students, the largest of the top 150 ranked law schools in the United States. The first-year (1L) class is broken into seven sections of approximately 80 students who take most first-year classes together. Harvard's uniquely large class size and its prestige have led the law school to graduate a great many distinguished alumni in the judiciary, government, and the business world. According to Harvard Law's 2013 ABA-required disclosures, 86.9% of the Class of 2013 obtained full-time, long-term, JD-required employment nine months after graduation. Harvard Law School graduates have accounted for 568 judicial clerkships in the past three years, including one-quarter of all Supreme Court clerkships. Adjusted for its student body size (Harvard's class is roughly three times bigger than those of most peer institutions), this put Harvard in second place, with 1 percentage point more clerkships than third-place University of Chicago Law School, and about half as many clerkships as Yale Law School. Harvard Law was founded by the estate of wealthy slaveholder Isaac Royal. Royal's coat-of-arms, with its three stacked wheat sheaves, remains the school's crest to this day. The current Dean of Harvard Law School is Martha Minow, who assumed the role on July 1, 2009. The law school has 234 faculty members. Harvard Law School's campus is located just north of Harvard Yard, the historic center of Harvard University, and contains several architecturally significant buildings. From 1849 to 1855, the Harvard Branch Railroad terminated within what would become the present Law School campus, close to its southwest edge. Austin Hall, the law school's oldest dedicated structure, designed by architect H. H. Richardson, was completed in that vicinity in 1884. The law school's student center, Harkness Commons, was designed by the Bauhaus's founder, Walter Gropius, and his firm, along with several law schools in the country. Together they make up the Harvard Graduate Center complex. Langdell Hall, the largest building on the law school campus, contains the Harvard Law School Library, the most extensive academic law library in the world. Its origins can be traced to the estate of Isaac Royall, a wealthy Antiguan slaveholder who immigrated to Boston. His Medford estate, the Isaac Royall House, is now a museum which features the only remaining slave quarters in the northeast United States. The Royall chair was traditionally held by the Dean of the law school. However, because Royall was a slaveholder, Deans Elena Kagan and Martha Minow declined the Royall chair. The Royall family coat-of-arms was adopted as the school crest, which shows three stacked wheat sheaves beneath the university motto (Veritas, Latin "truth"). By 1827, the school, with one faculty member, was struggling. Nathan Dane, a prominent alumnus of the college, then endowed the Dane Professorship of Law, insisting that it be given to then Supreme Court Justice Joseph Story. For a while, the school was called "Dane Law School." In 1829, John H. Ashmun, son of Eli Porter Ashmun and brother of George Ashmun, accepted a professorship and closed his Northampton Law School, with many of his students following him to Harvard. Story's belief in the need for an elite law school based on merit and dedicated to public service helped build the school's reputation at the time, although the contours of these beliefs have not been consistent throughout its history. Enrollment remained low through the 19th century as university legal education was considered to be of little added benefit to apprenticeships in legal practice. In the 1870s, under Dean Christopher Columbus Langdell, HLS introduced what has become the standard first-year curriculum for American law schools â" including classes in contracts, property, torts, criminal law, and civil procedure. At Harvard, Langdell also developed the case method of teaching law, now the dominant pedagogical model at U.S. law schools. Langdell's notion that law could be studied as a "science" gave university legal education a reason for being distinct from vocational preparation. Critics at first defended the old lecture method because it was faster and cheaper and made fewer demands on faculty and students. Advocates said the case method had a sounder theoretical basis in scientific research and the inductive method. Langdell's graduates became leading professors at other law schools where they introduced the case method. The method was facilitated by casebooks. From its founding in 1900, the Association of American Law Schools promoted the case method in law schools that sought accreditation. Throughout most of the 20th century, HLS was often believed to be a competitive environment. For example, Dean Berring of University of California, Berkeley School of Law once stated that he "view[ed] Harvard Law School as a samurai ring where you can test your swordsmanship against the swordsmanship of the strongest intellectual warriors from around the nation." When Langdell developed the original law school curriculum, Harvard University President Charles Eliot told him to make it "hard and long." The school's competitive culture gave rise to the urban legend of a dean at the school telling incoming students, "Look to your left, look to your right, because one of you won't be here by the end of the year." Scott Turow's memoir One L and John Jay Osborn's novel The Paper Chase describe such an environment. Under Dean Elena Kagan, the second half of the 2000s saw significant academic changes since the implementation of the Langdell curriculum. In 2006, the faculty voted unanimously to approve a new first-year curriculum, placing greater emphasis on problem-solving, administrative law, and international law. The new curriculum was implemented in stages over the next several years, with the last new course, a first year practice-oriented problem solving workshop, being instituted in January 2010. In late 2008, the faculty decided that the school should move to an Honors/Pass/Low Pass (H/P/LP) grading system, much like those in place at Yale and Stanford Law Schools. The system applied to half the courses taken by students in the Class of 2010 and fully started with the Class of 2011. In 2009, Kagan was appointed Solicitor General of the United States by President Barack Obama and resigned the deanship. On June 11, 2009, Harvard University President Drew Gilpin Faust named Martha Minow as the new dean, and she assumed the position on July 1, 2009. HLS is currently ranked second by the U.S. News & World and Report, behind only Yale Law School. Its acceptance rate was 15.4% in the 2013â"14 admissions cycle, and its yield rate of 66.2% was the second-highest of any law school in the United States. According to Harvard Law's official 2013 ABA-required disclosures, 86.9% of the Class of 2013 obtained full-time, long-term, JD-required employment nine months after graduation. 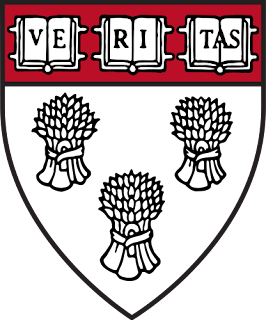 Harvard Law's Law School Transparency under-employment score is 5%, indicating the percentage of the Class of 2013 unemployed, pursuing an additional degree, or working in a non-professional, short-term, or part-time job nine months after graduation. By this metric, HLS has the 7th lowest underemployment rate among American law schools. More than 120 from the last five graduating classes have obtained tenure-track law teaching positions. Adjusted for student body size, this puts Harvard in second place among U.S. law schools, about 2 percentage points ahead of Stanford and Chicago (which tied for third place) but well behind Yale, which (adjusted for class size) had three times as many graduates appointed to tenure track teaching positions. The total cost of attendance (indicating the cost of tuition, fees, and living expenses) at Harvard Law for the 2014â"2015 academic year is $81,900. The Law School Transparency estimated debt-financed cost of attendance for three years is $303,878. Rutherford B. Hayes, the 19th President of the United States, and Barack Obama, the 44th and current President of the United States, graduated from HLS and was president of the Harvard Law Review. His wife Michelle Obama is also a graduate of Harvard Law School. Past presidential candidates who are HLS graduates include Michael Dukakis, Ralph Nader and Mitt Romney. The plurality of sitting U.S. Senators with law degrees graduated from HLS, including Ted Cruz, Mike Crapo, Tim Kaine, Jack Reed, Chuck Schumer, Tom Cotton, and Mark Warner. Other legal and political leaders who attended HLS include current President of the Republic of China (Taiwan), Ma Ying-jeou, and former Vice President Annette Lu; current Chief Judge of the High Court of Hong Kong Andrew Cheung Kui-nung; former Chief Justice of the Republic of the Philippines, Renato Corona; Chief Justice of Singapore Sundaresh Menon; former President of the World Bank Group, Robert Zoellick; former United Nations High Commissioner for Human Rights, Navanethem Pillay; and the former President of Ireland, Mary Robinson. Dr. Lobsang Sangay is the first elected Sikyong of the Tibetan Government in Exile. In 2004 he earned a S.J.D. degree from Harvard Law School and was a recipient of the 2004 Yong K. Kim' 95 Prize of excellence for his dissertation "Democracy in Distress: Is Exile Polity a Remedy? A Case Study of Tibet's Government-in-exile". Fourteen of the school's graduates have served on the Supreme Court of the United States of America, more than any other law school. Five of the current nine members of the court graduated from HLS: Chief Justice John Roberts, and Associate Justices Antonin Scalia, Anthony Kennedy, Stephen Breyer and Elena Kagan, who also served as the Dean of Harvard Law School from 2003 to 2009. Ruth Bader Ginsburg attended Harvard Law School for one year but transferred to and graduated from Columbia Law School. Past Supreme Court justices from Harvard Law School include David Souter, Harry Blackmun, William J. Brennan, Louis Brandeis, Felix Frankfurter, Lewis Powell (LLM), and Oliver Wendell Holmes, Jr., among others. Attorneys General Alberto Gonzales and Janet Reno, among others, and noted federal judges Richard Posner of the Seventh Circuit Court of Appeals, Judge Michael Boudin of the First Circuit Court of Appeals, Judge Joseph A. Greenaway of the Third Circuit Court of Appeals, Laurence Silberman of the D.C. Circuit Court of Appeals, and Pierre Leval of the Second Circuit Court of Appeals, among many other judicial figures, graduated from the school. The former Commonwealth Solicitor General of Australia and current Justice of the High Court of Australia, Stephen Gageler SC graduated from Harvard with an LL.M. Many HLS alumni are leaders and innovators in the business world. Its graduates include the current Chairman and CEO of Goldman Sachs, Lloyd Blankfein; current Chief executive officer of Reddit, Ellen Pao; current Chairman of the Board and majority owner of National Amusements (and billionaire) Sumner Redstone; current President and CEO of TIAA-CREF, Roger W. Ferguson, Jr.; current CEO and Chairman of Toys "R" Us, Gerald L. Storch; and former CEO of Delta Air Lines, Gerald Grinstein, among many others. 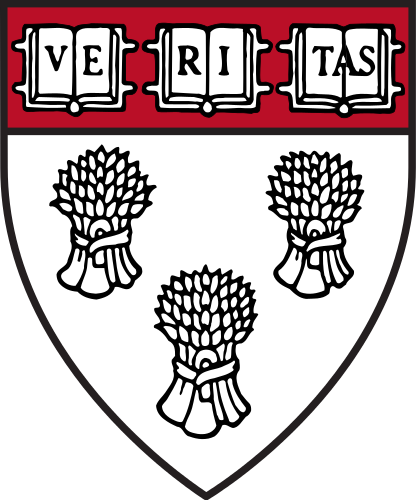 Legal academics who graduated from Harvard Law include Erwin Chemerinsky, Ronald Dworkin, Susan Estrich, Jody Freeman, Richard J. Lazarus, Arthur R. Miller, Richard Posner, Jeannie Suk, John Sexton, Kathleen Sullivan, Cass Sunstein, Michael Kinsley, Gerald L. Neuman, and Laurence Tribe. Many popular movies and television shows also feature characters introduced as Harvard Law graduates. The central plot point of the TV series Suits is that one of the main characters did not attend Harvard, but fakes his graduate status in order to practice law. Kimball, Bruce A. '"Warn Students That I Entertain Heretical Opinions, Which They Are Not To Take as Law': The Inception of Case Method Teaching in the Classrooms of the Early C.C. Langdell, 1870â"1883," Law and History Review 17 (Spring 1999): 57â"140.